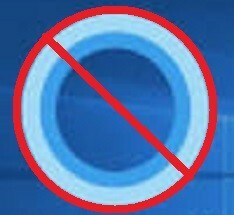 It's no secret that Cortana is losing favor with the PC-using public, and possibly also with Microsoft developers in some departments. A well-regarded Windows-focused leaker claims to have found evidence that the digital assistant may be replaceable in future versions of the OS. This is also somewhat corroborated by the fact Amazon's Alexa is now available in Windows' Store. Cortana is not having a great time of it, according to its recent press at least. Some earlier reports have suggested that it may be discontinued, or (worse?) demoted to a feature in the Microsoft Office suites of the future. A more recent rumor indicates that it may even be possible to remove the digital assistant from Windows 10 altogether, so that the user can employ an alternative virtual helper of their own choosing instead. On the other hand, this is not based on much besides a thread started by the leaker Albacore on Twitter. It arises from findings from another tipster, WalkingCat, who claims to have found APIs concerning the requests "IsSystemCortanaAppReplaceable" or "IsSystemCortanaAppReplaced". In addition, Albacore now claims that the apps CortanaApp.View and UndockingTestApp exist. These titles may indeed suggest that Cortana will become replaceable (or 'undockable', as Albacore's terminology seems to have it) in a future OS update. Furthermore, it is also true that Amazon's Alexa is now available for download on the Microsoft Store. This may be construed as a first step in readying alternatives for an option that 'undocks' Cortana from the Windows start-bar. On the other hand, this is still largely based on speculation and requires more concrete validation from the Redmond software giant.